We’re in the midst of a revolution. A beer-can revolution. For generations of Americans beer meant low-quality lager, a fizzy yellow water that looked, smelled and tasted more like an industrial byproduct than the world’s favorite beverage. And for decades, manufacturers put the worst beer in cans, packaged it in bulk and sold it to the lowest common denominator. But in 2002 something interesting happened. Domestic craft brewing–or microbrewing as it used to be called–began to grow at an astounding rate, offering many Americans their first taste of a diverse and high-quality alternative to industrial lagers. 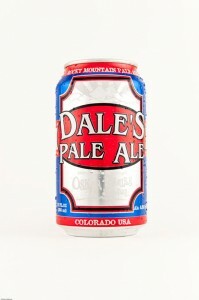 That’s also the year Oskar Blues, the Colorado brewery founded by Dale Katechis, started canning Dale’s Pale Ale and surprised beer drinkers with the realization that canned beer can taste good.